It was the first time the Treasury Department had imposed sanctions on an ISIS member accused of involvement in chemical weapons, the department said. Washington, United States: The United States on Monday slapped financial sanctions on two suspected ISIS militants accused of manufacturing chemical weapons, the Treasury Department announced. 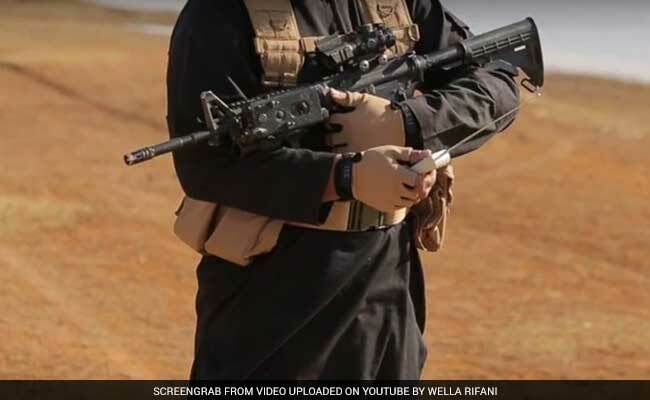 The sanctioned men included senior ISIS leader Attallah Salman Abd Kafi al-Jaburi, who is in charge of bomb-making facilities in the Iraqi province of Kirkuk, Treasury said in a statement. The State Department also listed Iraqi ISIS leader Marwan Ibrahim Hussayn Tah al-Azawi, who also is connected to the manufacture of chemical weapons, as a "specially designated global terrorist." The move effectively freezes both men out of much of the global financial system, prohibiting banks and individuals from participating in any transactions with them, and freezing any of their assets subject to US jurisdiction. The department condemned the use of chemical weapons "and will leverage all available tools to target those complicit in their development, proliferation, or use," John Smith, head of Treasury's sanctions office, said. In November, IHS Conflict Monitor, a London based intelligence analysis service, accused the Islamic State group of having used chemical weapons at least 52 times since the militant organization swept to power in 2014. As of mid-2016 al-Jaburi was in charge of manufacturing rockets, car bombs and roadside bombs, the Treasury said. He was ordered in January of last year to produce chemical weapons for use in attacks on Iraqi Kurdish fighters. Separately, the State Department also designated the Indonesian militant organization Majelis Mujahidin Indonesia, accused of involvement in attacks in that country including the May 2012 attack on a book launch by the Canadian author Irshad Manji.